A little bit of a rugged start for the teams this season. Let’s go Komodos! Komodos Sofía Castro holds the ball tightly as she’s about to get tackled by the opposite team. 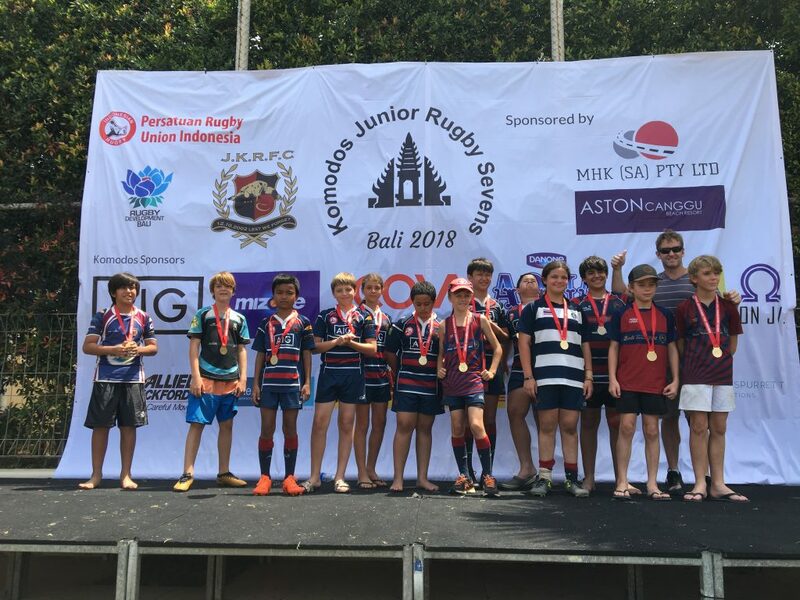 We kicked off this season in August 27, 2018 and soon after we hosted our annual Komodos Junior Rugby Sevens in Bali. You can imagine that tensions were running high for these guys. 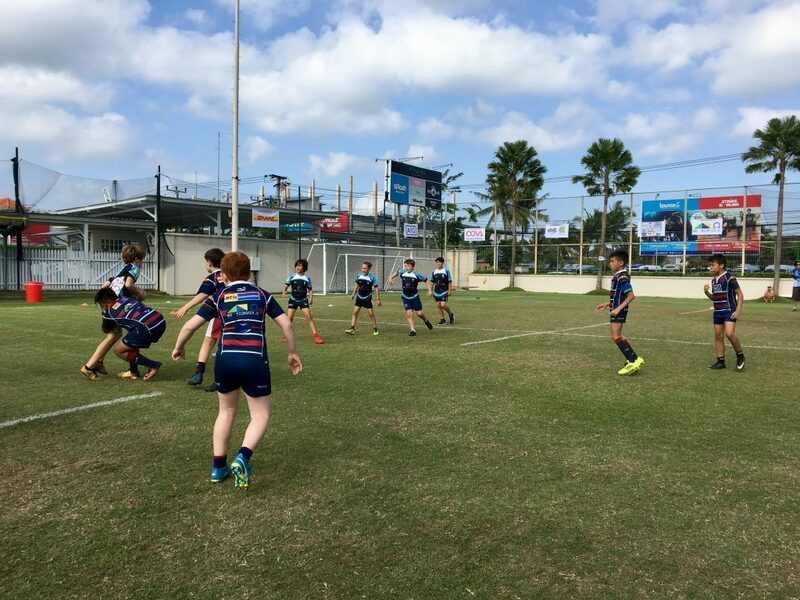 Knowing they didn’t have enough training beforehand, they dove into the opportunity and went off to put on a show against teams that came from places such as Malaysia, Singapore and Bali, Indonesia. 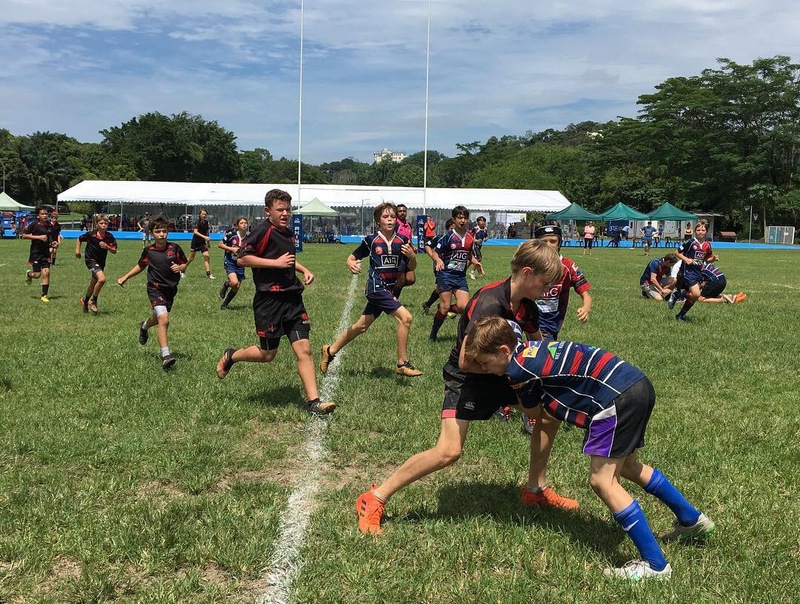 They really had a rugged start during their first couple of games: The U8’s, U10’s and U12’s teams were head to head with the KL Tigers, Shark Finns, the Centaurs Rugby and Centaurs Tanglins! It was a day full of excitement for all of them as they tried to eliminate each other! Komodos Mischa Hewitt tackles an opponent from the Centaurs team. The Komodos fight hard to have possession of the ball against the JJRG team. The following day was a decisive day for the Komodos as they couldn’t unstuck themselves out of their loses against the Centaurs, Shark Finns and KL tigers. 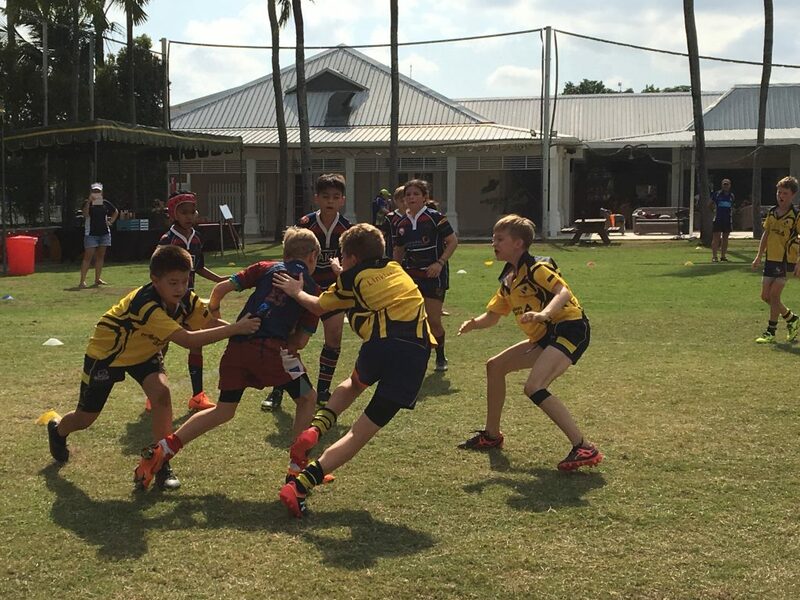 Both, U10’s and U12’s teams fought hard ’till the end. 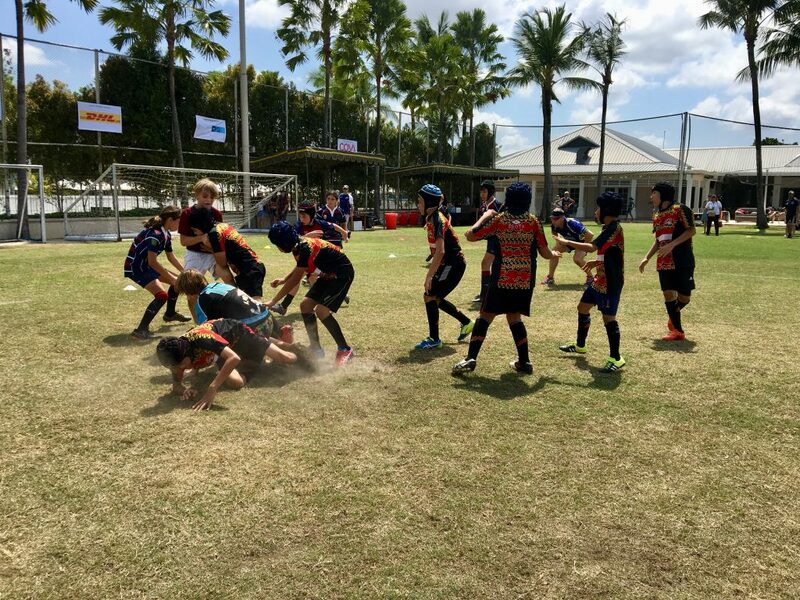 While the U8’s were eliminated, the U10’s and U12’s really did their best in securing medal positions during their final matches. We couldn’t be prouder. U10’s getting their medals for 3rd place. The U12’s placed 3rd at the Bali tourney as well. Second stop was the Centaurs Mini and Youth Rugby Tournament in Singapore. 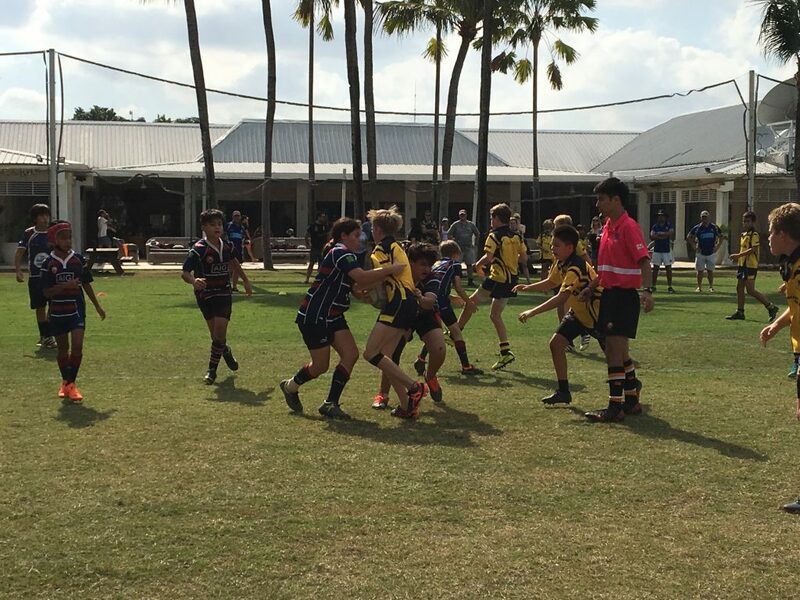 This was a challenging tournament for the Komodos U12’s to overcome. The matches were back to back with only 30 minute breaks! They really battled the pitch with teams that were more experienced than the Komodos too. They had more loses than wins. In the end, they were eliminated, but not without a great fight. They were relentless! 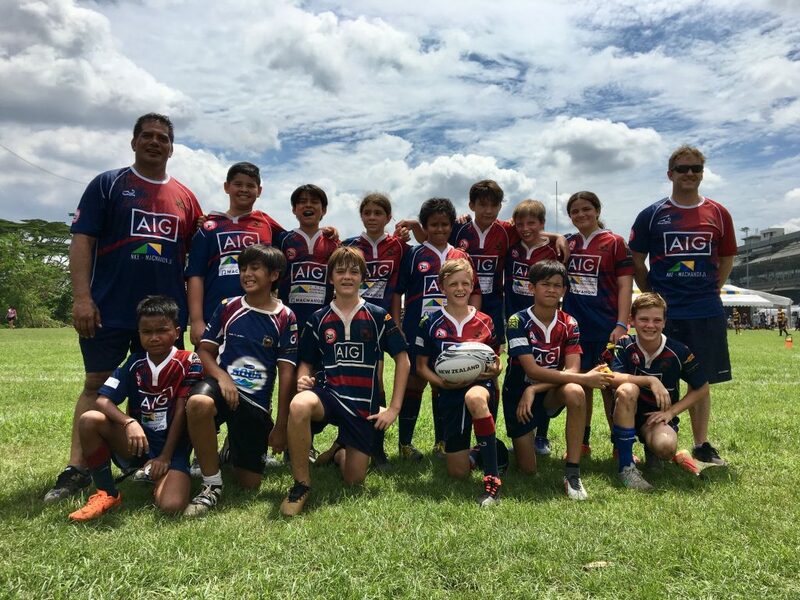 It has been a great journey for the Komodos Jr. Rugby teams. They got the skills and the passion for the game. They represent us very well no matter where they go to compete. We wish them good luck in the next tournaments remaining in the season and will be there to support them all the way. GO KOMODOS!!! 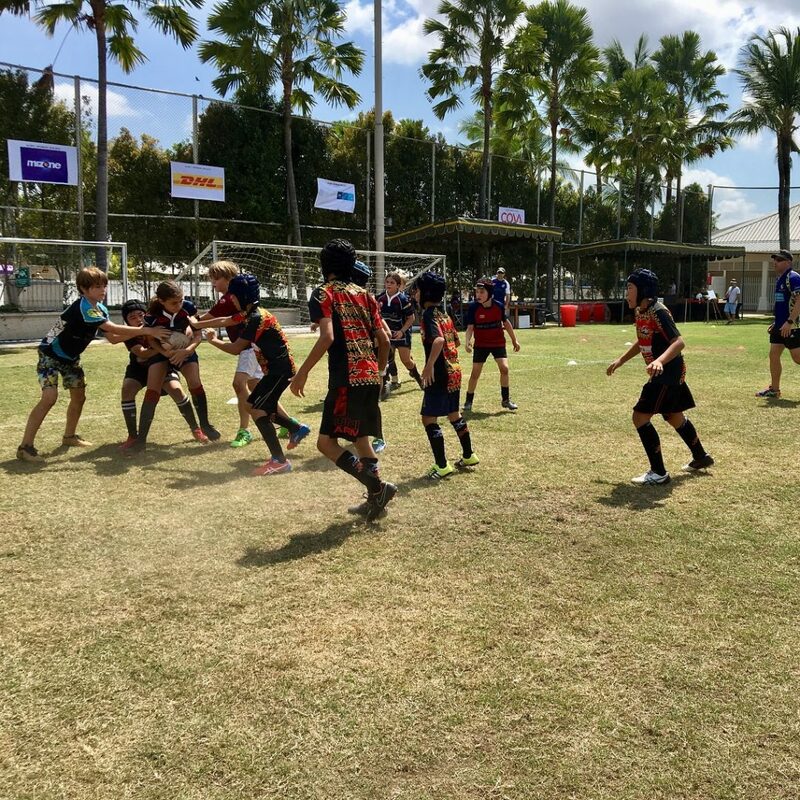 A special thanks to Hinchi from Bali, for allowing his boys to join the Jakarta Komodos Jr. Rugby at the Centaurs Tourney in Singapore. They represented us very well indeed. We thank the Centaurs Mini and Youth Tournament organizers for extending the invitation to the Komodos. We really enjoyed the experience of competing with other teams! 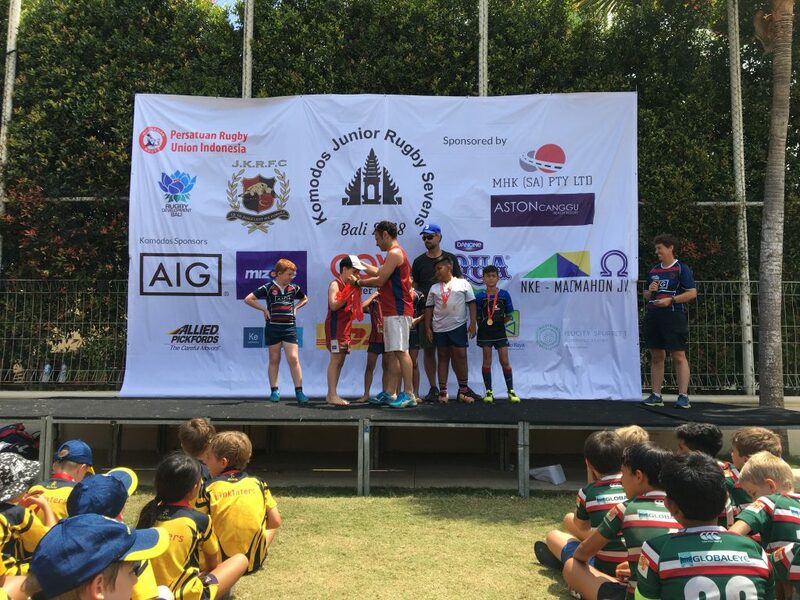 Thanks to all the coaches, all the parents and all the members of the Jakarta Komodos Rugby Football Club for supporting these opportunities, participating and encouraging our little ones to do greatness in the world of Rugby. Finally, we give thanks to our Sponsors; we can’t thank you enough for being there and supporting us every step of the way! Indonesian Rugby, AIG, Machmahon, DHL, Danone AQUA, Felicity Spurrett Communications, Kemistry Film, COVA, RMA Indonesia, Kontrol IndoRaya.